Praise the Ancestors! 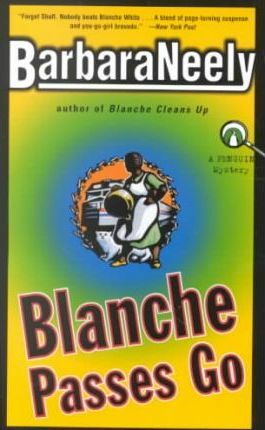 After three years of housekeeping for Boston's haughty elite, Blanche White is finally coming home to North Carolina for an entire summer. And like a sign from above that she's headed in the right direction, Blanche has already lined up a date with the handsome train conductor she met somewhere between Boston and Baltimore. The summer holds lots of promise, including helping her best friend, Ardell, with her new catering business. Then, on her first night back, Blanche runs into David Palmer, the man who raped her eight years ago. The time has now come for Blanche to exact her revenge. So when a young girl is murdered and it looks as if Palmer may be involved, Blanche pursues every possible lead to help put an end to his legacy once and for all.